The sleek piece of wearable tech that you (probably) bought last year, you know the one that's been helping you monitor your work outs, count calories, and stay in shape. The one that looks super slick on wrist, keeps you on time for meetings, tracks your steps while making you look like a smarter, savvier, sexier version of yourself-well, it's been lying to you. The notion that that fitness trackers and wearable technology have been misrepresenting and miscounting the various metrics associated with healthy living is widespread. 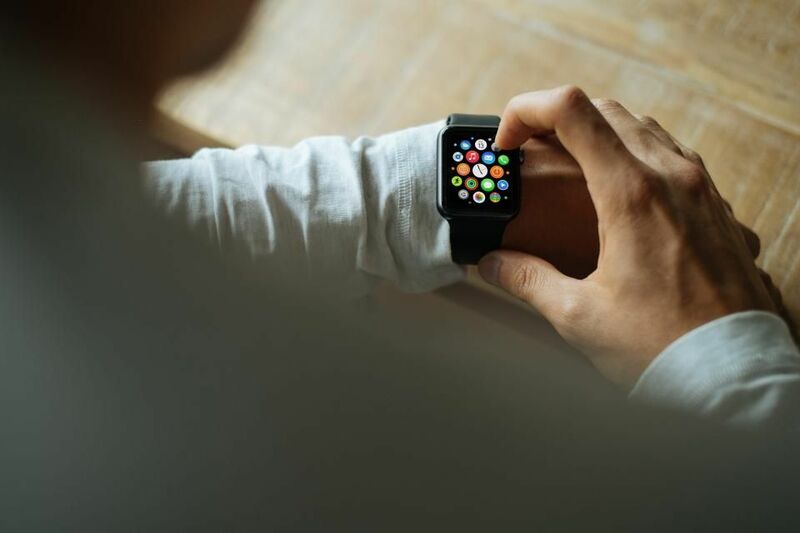 From steps taken to calories burned it’s difficult to say whether or not wearables have actually delivered on their promise to provide health specific analytics, and transparency to everyday people. The proof is in the market, the revolution that Fitbit promised never happened. Sales are way down, and Fitbit reported a financial loss while announcing that it would be laying off 6% of its staff. Its share price is down 90% ($5.27) from it peak of $51 in 2015. Fitbit doesn’t see its fortunes changing much in 2016 as it competes in a wearables market that is seeing little to no growth. The sector, despite the hype surrounding the Apple Watch which has a great appeal beyond fitness, is floundering. In both cases of the Apple Watch, and various Fitbit models, many of the apps do a poor job of reporting and tracking health and fitness metrics with any sort of accuracy. Researchers at Johns Hopkins University were quickly able to conclude that the IBP app available in the iTunes App Store, and on Google Play were dangerously misleading. When compared to health apps on smartphones, which go by a standardized tracking code, "various wearables for tracking physical activity showed large variations in accuracy between different devices — with error margins of up to 25 percent," the researchers wrote. Further more innovation in the segement does little to close the gap. A competition run by Qualcomm with a $10 million first place prize to find a “tricorder-like” device, required only 70% accuracy of 15 different measurements. The finalists produced kits that combined existing technologies such as glucose meters, spirometers, heart rate monitors, etc and packaged them in one box. Whilst this brought these devices together to function with a single app, it did not fundamentally advance any of the individual components. So what’s the issue here? Well it could be that wearable tech manufacturers are overreaching given how new the wearable tech segment really is. While the relative level of sophistication is exciting, the smartphone and all of its ancillary technologies have yet to reach adolescence. Afterall the Apple iPhone was only introduced in 2007, and most of us would be wise not to trust a teenage health guru, so why place the same sort of faith in sleek, but relatively immature technology? The beauty of modern technology is its ability to synthesize and analyze millions of data points into easy to digest bits of information that are useful for us. Today we’re constantly exposed to these types of applications or tools via Uber, Amazon, or even our Instagram feeds. So it’s no wonder that wearable technology leaves us desiring more; and that’s where e 3D body scanning steps in to offer a truly personalized application of technology. The Styku 3D Body Scanner for example creates a model using over 600 infrared images taken in seconds. The 3D model can be rotated, panned, and zoomed to evaluate each body part in great detail. Once a model is created, Styku's advanced feature recognition technology automatically finds detailed landmarks on the body (e.g. hip, bust point, etc), which are used to extract circumferences, volume and surface areas for various regions of the body. This allows for a level of detail and personalization in a matter of seconds, that no wearable can create even with a year’s worth of collected data. Where the 3D body scanning technology really works to personalize fitness data is through benchmarking of weight loss, body fat, or muscle density; areas that many hoped wearable technology would make accessible to all. So where you once turned to a Fitbit to help track your movements, and keep on pace with your workouts and weight loss goals on your own, 3D body scanning can actually provide more accurate reports of your progress once a week, or even bi monthly, than a device constantly attached to your wrist. Don’t believe the hype, just because the hardware required to build wearables technology is making it accessible to everyone, doesn’t mean that it’s personalized for everyone. Better yet, there’s no excuse for not being able to find 3D body scanner either, they’ll soon be rolling out across the United States at participating Gold’s Gym locations.